A difficult opening hole which averages 6.98! 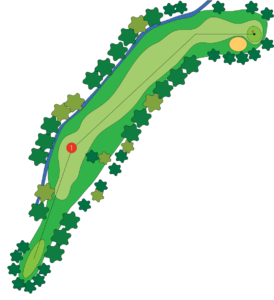 It is important to hit a straight drive and then a three wood to avoid trees on the right and Koonung Creek down the left side. This should provide a chance to attack both, the dog leg and elevated green with a third shot. The bunkers on the right hand side, before the green must be avoided at all costs. The green is also demanding as it slopes downhill more than it looks. A great “warm up” hole. Settle back and enjoy this straight forward hole. A driver is not required off the tee, with the best position to attack the green being on the left hand side of the fairway. 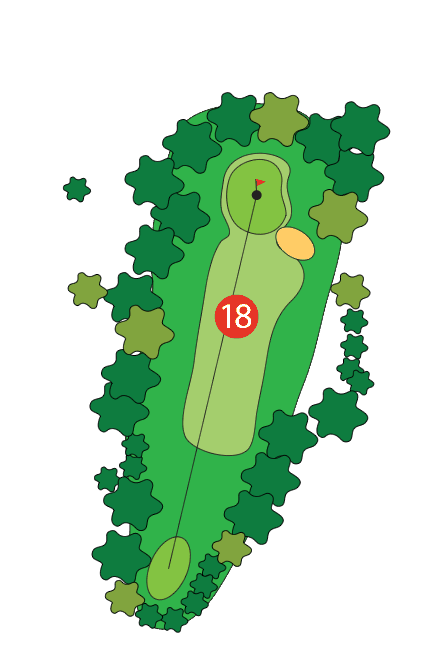 The green is protected by three sets of bunkers but players should be looking at a par here. The easiest hole on the course. A simple uphill iron shot will provide a birdie opportunity for most players on a sloping green however there is OOB on the left and a bunker short to avoid. With a slight dog leg left, the key to this hole is a straight drive or iron first shot as there is a fairway bunker and trees on the right plus trees to the left. 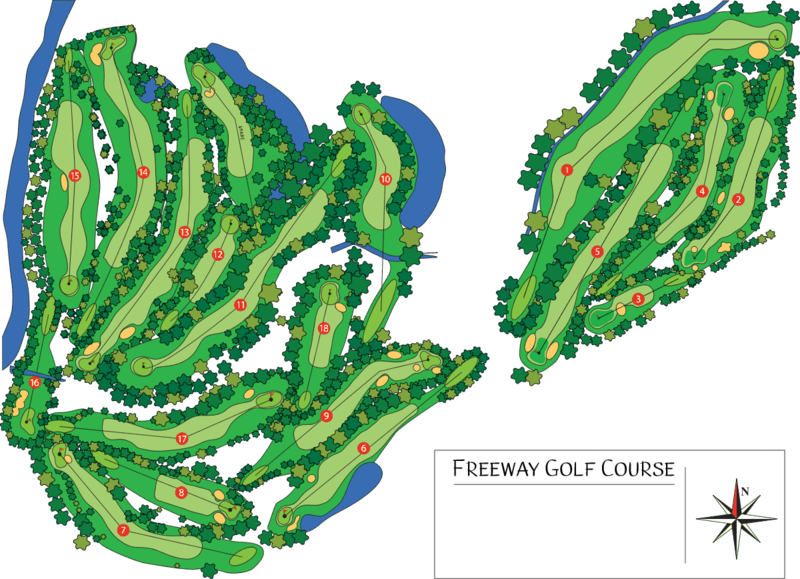 The green is protected by two bunkers on each side and they provide problems for many players who hit a poor approach. The green also can be difficult to read in summer so take care here. This hole will get your attention as it is straight uphill and appears inviting! 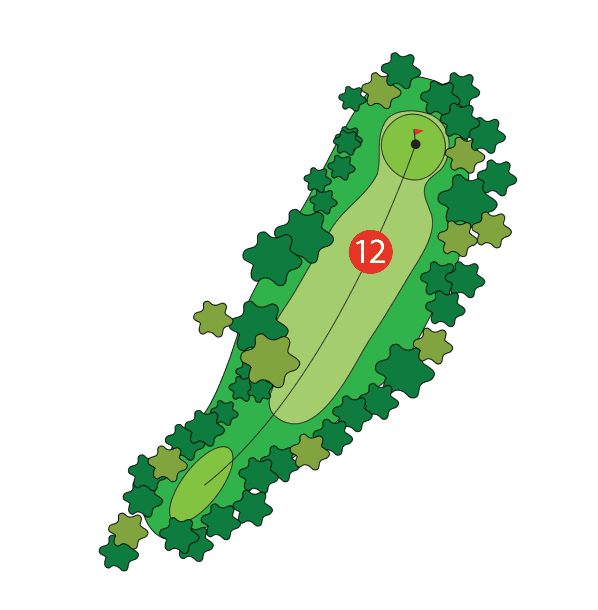 Most players approach this as a Par 5 and it presents a challenge for every shot. A drive down the right hand edge of the fairway provides access to the green for those long hitters but danger lurks with large greenside bunkers on both sides. 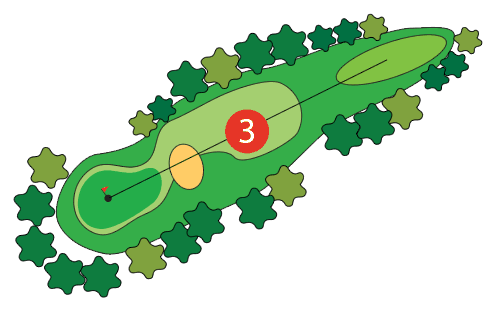 Once on the green, there are two tiers so it is important to position your approach on the right level. A beautiful hole from the tee box. There is a lake on the left hand side of the fairway and a picturesque uphill green. 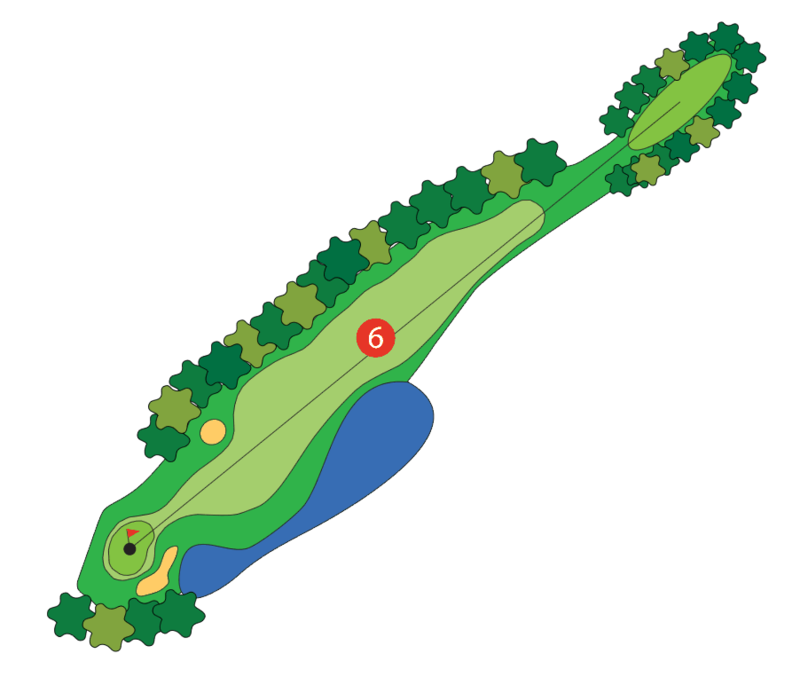 Avoiding the lake is a must but players must also avoid the trees to the right of the fairway with their first shot. 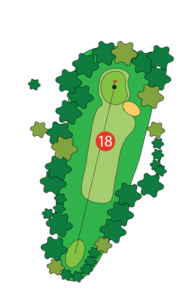 Approaching the green should be a short iron shot however there are bunkers to the left to avoid and then a sloping green challenges every putt. 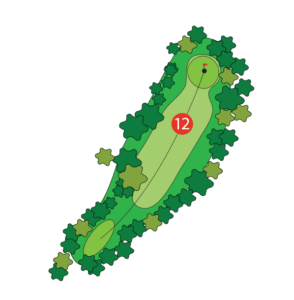 Players can attack this hole with a drive over the corner trees (dog leg right) and set up a simple approach to the green which is kidney shaped and relatively easy to read. A small bunker in the front right of the green should be avoided with your second shot. Long grass and slope to the left of the green is potentially a hazard area as well. This hole presents a significant challenge as there are two large bunkers to the left and right of the approach to the green. A lot of keen golfers choose to lay up in front of the green (and bunkers) and take their chances with a chip and putt. If you decide to attack, then take an extra club and play to get past the bunkers. There are trees to be avoided on the left and right of this fairway however a straight drive presents a good opportunity to attack another uphill green. All three bunkers on this hole should be avoided however the one directly in front of the green is a definite “no go” zone. 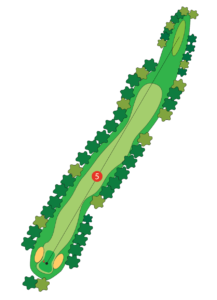 Also, long over the green is like a hazard as you will be facing a lightning downhill chip or putt. Take great care on the green as well. Danger lurks everywhere here with Koonung Creek in the front catching errant drives short or left. 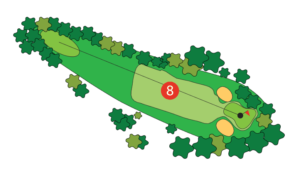 Then, longer drives spearing right will enter a large water hazard and a penalty shot incurred. 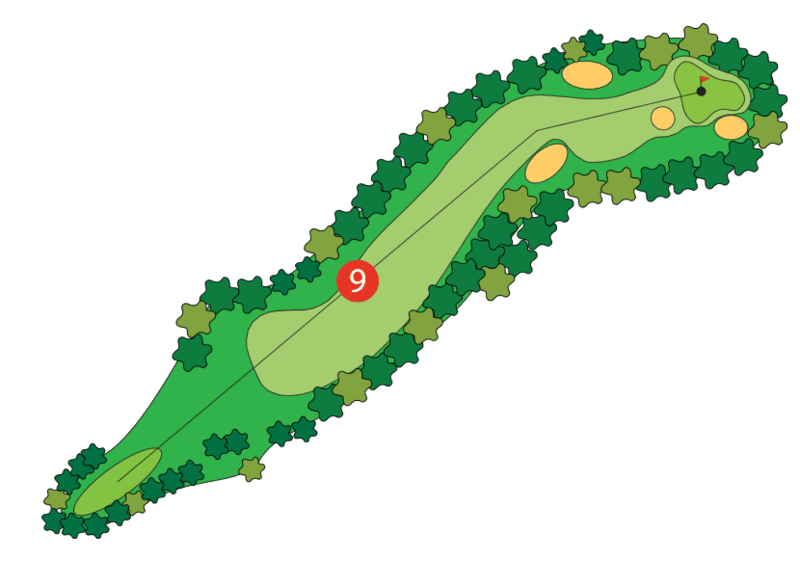 Finally, the green is like an upturned saucer (no bunkers however) and many shots simply slide off the edges. Proceed with caution as this hole is harder than it looks! If you like a challenge off the tee then here it is! This is a long Par 4, with trees on the right of the tee and then a narrow opening between trees and Koonung Creek on the left. 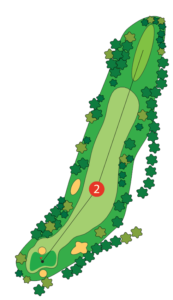 It is vital to keep your tee shot in play here as there is a dog leg uphill and a player is easily blocked out from the green for a potential second shot. 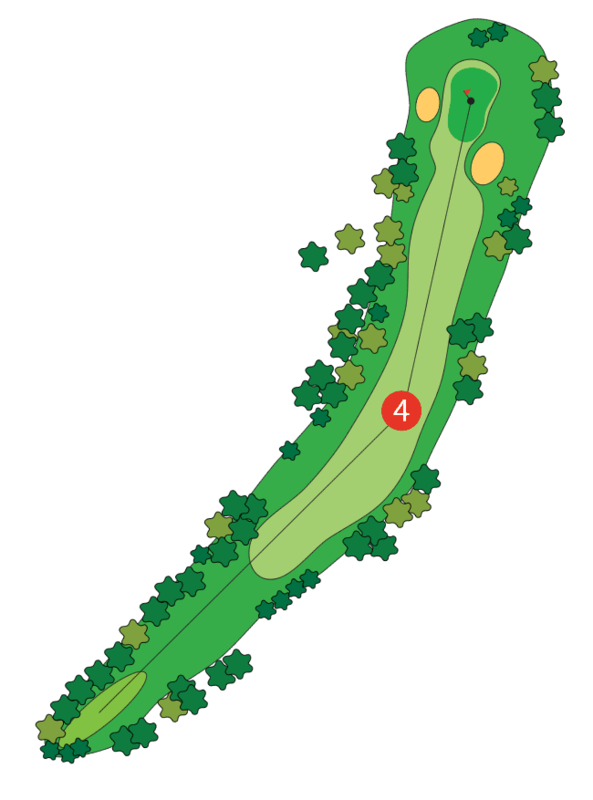 Most players approach this hole as a Par 5 (usually into the wind also), seeking to keep their second shot in play and then pitch up to a challenging green which has a small bunker at the back. Any shot long or left of the green is inviting trouble as well. A straight forward Par 3 with another upturned saucer green providing the only protection. Anywhere left or long invites trouble however most players should be looking for a par here. Another dog leg off the tee and this hole very much depends on the placement of the white tee markers as it is still a Par 4 off the back white tee but a Par 5 off the blue tees only metres behind. 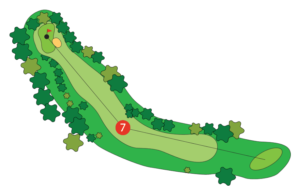 A straight drive is very important (trees to avoid) to provide a chance at the green in two shots but bunkers provide protection short and to the right of the green. 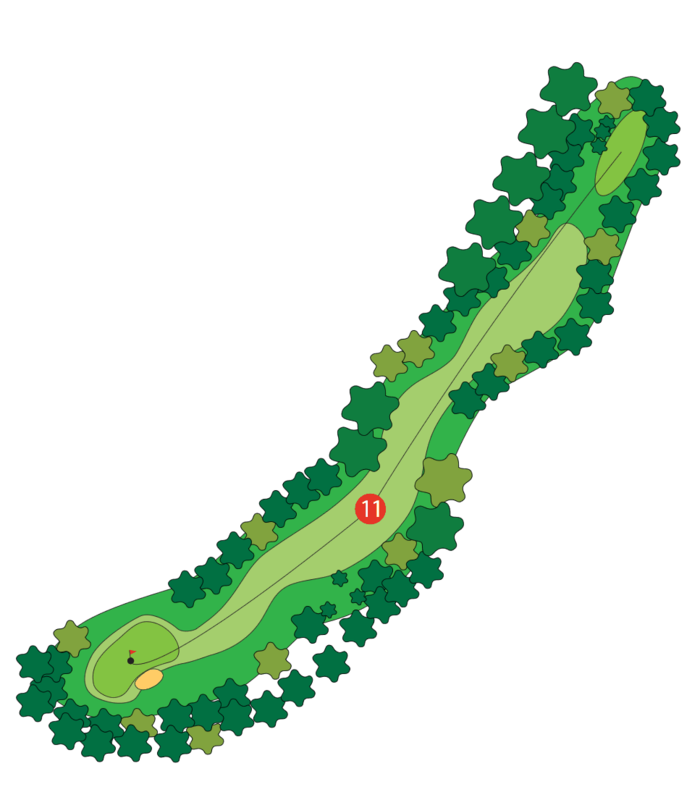 Even once on the green, a player is generally faced with a sloping putt of sorts so the hole definitely lives up to it’s Index 2 rating. A par on this hole is a real bonus as there are challenges everywhere. The large fairway bends left after about 200 metres so the positioning of your drive is key here – straight preferably. 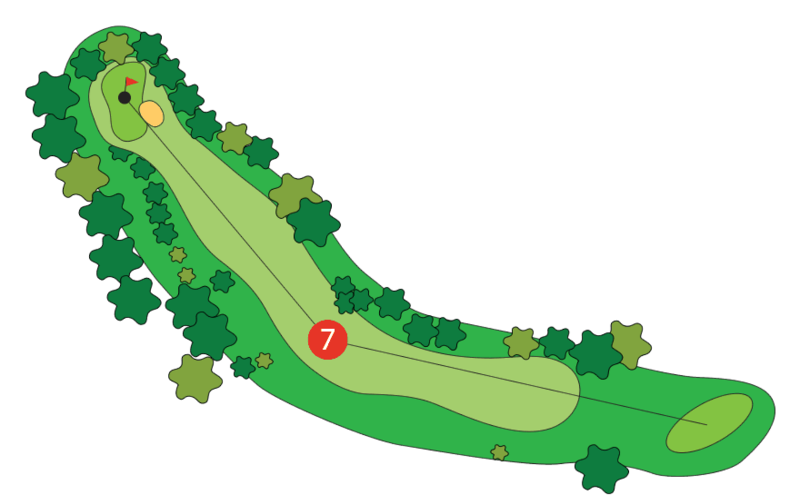 Then there is a revegetation zone on the left side (free drop however) half way to the hole but a large hazard area to the right approaching the hole must be avoided. A comprehensive bunker protects the left hand side of the uphill green and any shots falling short will roll back down the hill at your peril. Anything long of the green is most likely lost or unplayable. The green is relatively flat but having a short putt is a bonus. Most players look to par the last four holes from here. A straight drive (avoiding the fairway bunker and Yarra River to the extreme right) provides easy access to a large flat open green. 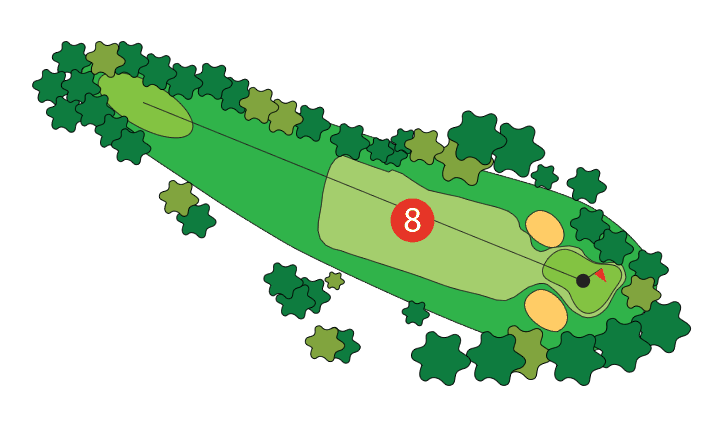 The only play to avoid is going left or long with your approach shot to the green. 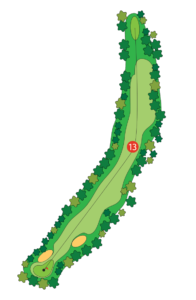 Players have to cross Koonung Creek with their first shot and avoid a series of bunkers on the right hand side of the green however it is a relatively straight forward hole with a good iron shot off the tee. 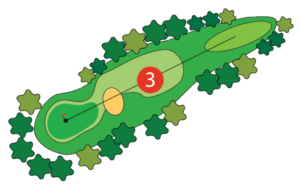 A large slope to the left of the green provides a target area as the ball will feed down to the green from here as well. Hazards left and long of the green should be avoided. Another left dog leg with trees and Koonung Creek on the left hand side, to avoid. However, a straight drive positions a player for an easy second shot to the relatively flat green. This is one of the easiest holes on the course. This hole is certainly tougher then it appears at first glance. Normally played into a strong headwind, the green is protected by a large slope to the left and significant bunker on the right. Players sometimes choose to lay up here and chip onto the green for safety but a good long iron shot will be rewarded for sure. The green has some subtle slopes to contend with but Par is on offer.